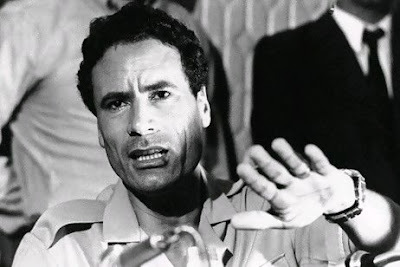 It is all over the news - Libyan dictator Moammar Gadhafi has been killed by the rebel army. There have been several reactions to this news from every side of the political spectrum. I have seen conservatives continue their criticism of the president while laying praise on the British and French while I have seen liberals commend the administration on their limited involvement in assisting the rebels and achieving a positive outcome. There were also some extremes. Some on the right defended George W. Bush's negotiations with Libya in getting them to surrender their nuclear arsenal, claiming that negotiating with rogue nations will be more difficult because they will be left vulnerable, stating Obama's actions have now damaged the United States' (as well as UN and NATO) credibility, while also complaining of Obama's wars in Afghanistan and Iraq and the cost and loss of lives during Obama's watch - apparently since Obama didn't "end" the wars they are now his. Others on the left were upset with America's involvement with Libya, despite not having any troops on the ground and the loss of zero American lives, seeing the move by Obama as an imperialistic hunt for oil at the cost of the lives of innocent Libyans, but I think that is a stretch. "We removed a dictator in six months losing no American soldiers," said Stewart "spending like a billion dollars rather than a trillion dollars and engendering what appears to be good will to people who now have a prideful story of their own independence to tell." "Not to mention oil. They have oil" Stewart added. My opinion is that Obama's leadership on this front was appropriate and led to the same result as that of Afghanistan or Iraq minus the cost and commitment of troops. I fear that had this been a Republican presidency, America would have been on the ground on day one in not only Libya but all over the Arab world. Considering the language used by pretty much every Republican out there, I would fear that electing a Republican for president in 2012 would lead to another prolonged American military operation as early as 2013.